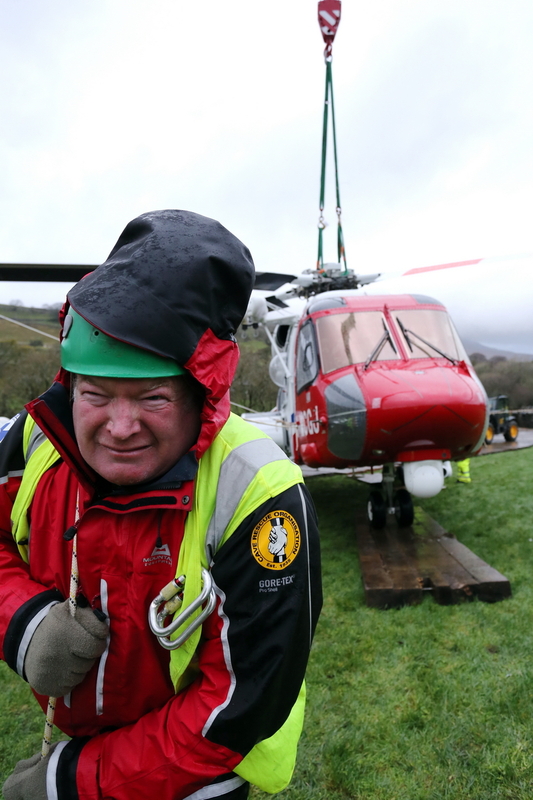 Over the weekend during a rescue on Ingleborough a Bristow Search and Rescue helicopter landed to discuss the incident with CRO Rescue Controllers and were unable to take off again after a fault developed. The crew were forced to set the aircraft down on sloping ground where it slipped, tilting to one side and had to be abandoned. 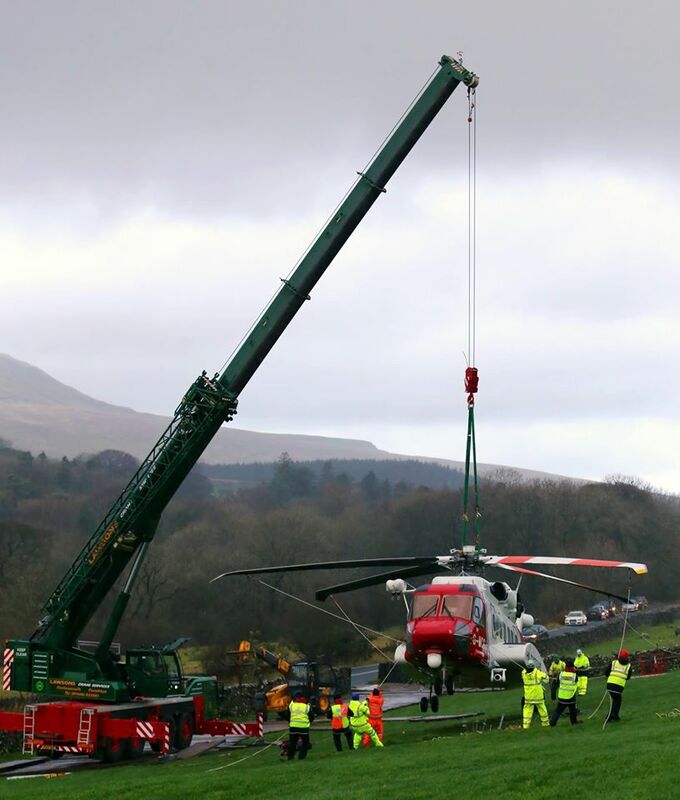 CRO secured the helicopter which has now been repaired and a crane has been brought in to lift it out of the mud onto a level platform ready for take off. Much more on the story, including video of a second aircraft bring in parts for the repair, can be found on the Cave Rescue Organisations Facebook and Web Pages. The picture below appears to show a well known caver attempting to solve the problem single handed!